We offer replacement windows in Norwalk, Danbury, Stamford, Greenwich, New Haven, Hartford, as well as Westport, Darien, New Canaan, West Hartford, Ridgefield, Hamden, and all surrounding areas. 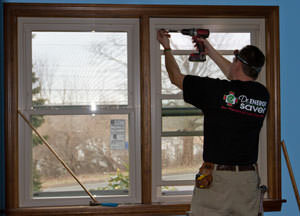 Dr. Energy Saver Of Connecticut will provide a Free Estimate to replace inefficient, out-of-date units with new replacement windows and new exterior doors. Call or email for a free inspection and estimate today. The crew did great- they explained what they were doing, took care to clean up, and did what they said. Johnny was great- he represents your firm well. The doctor that came out to my Newtown home was credible, knowledgeable and practical, the best I have came across! The workmanship of the installers who installed my furnace was excellent professional and neat. The top reasons I chose Dr Energy over others were #1 Rich Searles the doc who came out. #2 excellent referrals. The house is more comfortable after the work done by connecticut dr. energysaver. We have a far less drafty home. Rudy and the crew were clean and tidy. Your response to my calls were very reassuring during the renovation work. I was very satisfied with the job Dr. Energy Saver did for me. The crew was friendly and knowledgeable and the "Doctor" was very thorough. Basement Systems (affiliated co.) did work at my home that I was very satisfied with, so I trusted Dr. Energy Saver would do the same. The information was explained well. Rick was very friendly and answered all my questions. Very professional work ethic. Extremely knowledgeable and informative. They crew was on time and very neat. I had my basement waterproofed by CT Basement Systems and was referred to Dr. Energy Saver for air conditioning. I will definitely reccommend your work to friends. I would highly recommend Andy, Jack and Joe to everyone! They are the BEST! Rick Searles who came out to my Seymour home was very professional, knowledgeable and accommodating and very nice. The crew was great, the explained every step of the way. Very good attention to detail, very clean and precise in their work. You seemed to identify the work needed with out inflating the job or the price. I also love how your workers approach their work! They are precise and very respectful. They take their time to thoroughly explain every step of the work. They take responsibility for all that they do. I feel that if I have a problem with anything, I can call you and you and your concerned enough to address my concerns. I give the guys a 5 out of 5! They replaced my old leaky ugly sliding glass door with an all vinyl one with Low E argon filled glass. They did a great job with the trim and I am ver pleased. I have used them before for other work on my house here in Wallingford, and I am just as happy this time. Excellent! I hired Dr. Energy Saver CT because of their great reviews, extensive knowledge and they went above and beyond. I would recommend them to my friends and family. 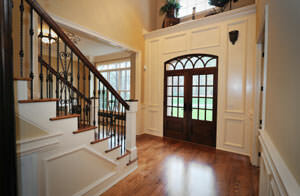 Call 1-855-201-5406 or contact us online to schedule a free home inspection and windows and doors estimate. 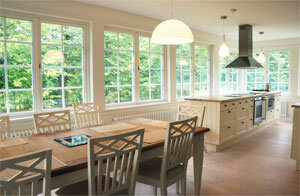 We also offer a comprehensive home energy evaluation. 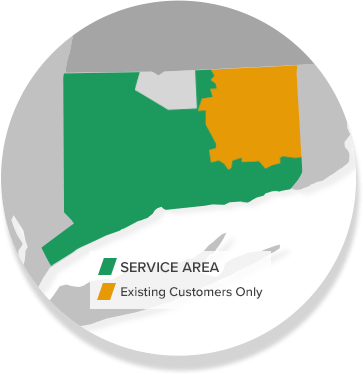 We are your resource for Hartford, New Haven, Greenwich, Norwalk, Danbury, Stamford, Milford, Trumbull, Stratford, Cheshire, Bridgeport, Waterbury, New Britain, Bristol, Meriden, Glastonbury, Monroe, Shelton, and throughout Connecticut.